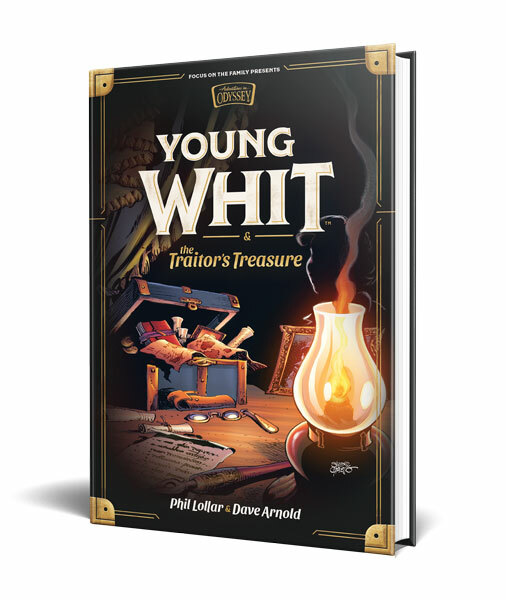 Since my son-in-law, Clay Herd, grew up with Adventures in Odyssey, I knew he’d enjoy the chance to read and review Young Whit, an Adventures in Odyssey chapter book. I was right. He did enjoy it. Guest Post by Rev. Clay Herd. As a fan of Adventures in Odyssey, I was excited to review this book. Young Whit is a tale of young Whittaker and his adventures of his youth. This book is intended for a young audience but be prepared to help your child to understand some of the themes in this book. The story is a little different from your typical Adventures in Odyssey story. Although the characters you know and love will make an impact on you with their impeccable character development. This book is a little lengthy for young kids. Though the font is big, there are still 22 chapters, but if your child enjoys reading, they will find these pages flying by. The story follows young Whit as he moves to a new school and must face the awkwardness of being new, facing bullies and grief, and his overall growth in his faith. There are a good amount of themes that would bring great family conversations. I felt the story also develops John’s personal faith in a realistic manner. I feel that in following novelizations that John’s faith in God will be better developed as it is in many of our lives. This is a great historical mystery and is a great read for the whole family. I would highly recommend being involved in your child’s reading of this because it really does have some great themes that would make great conversation starters at the dinner table. I enjoyed this read. I love the Adventures in Odyssey series and this is a great addition to it even though it is slightly different. I would be prepared to tackle some tough conversations about bullying and grief but that should in no way prohibit a child from reading this book. There are many historical themes that would also make great teaching points for your child. Overall, I would highly recommend picking up this book for your library. You can also purchase a copy at the Focus on the Family website. Disclaimer: I received a complimentary copy of Young Whit in exchange for an honest review. Opinions expressed are my own.